We’ve noticed that the first days of expatriate life in a new place like Rotterdam can be very stressful and the most fascinating, finding a rental apartment is just a small part! Make yourself at home, get on the bus, and start exploring what your new life in Rotterdam has in store! We have compiled a list of tips to help you to get the very best out of expatriate life. Beside, here you can find local information which can be handy after founding the right rental apartment in Rotterdam. For others, it is simply overwhelming to be in a completely new environment. After all, you are now living in Rotterdam instead of your hometown, your to-do-list is probably endless and the easiest tasks can suddenly become a real challenge. 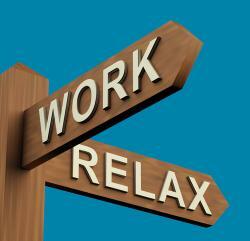 Relax, take it slow and get things done one after another and soon you will start to enjoy your expatriate life. Hotel rooms are usually rather impersonal, small and without the facilities of an apartment you wished for.. But even if you are planning to stay just for a few days, you can make yourself comfortable to choose for a shortstay apartment in Rotterdam. Riva Rentals offers these comfortable apartments for hotel prices including the possibility to cook your own meals, swimming pool, fitness and sauna facilities. Once you’ve settled in your rental house or apartment in Rotterdam, it is time to go explore the city of Rotterdam. However, don’t forget that you are here to stay, at least for a while. Find out where the nearest grocery store is, how far away you are from the closest park and what products the shop next door sells. Getting to know Rotterdam early on will not only make your life easier in the long run, but can also help you strike up first acquaintances. During a househunt with one of the rental agents of Riva Rentals the are happy to show you all the facilities you need to know. If you haven’t already done so, this is also the time to figure out how public transportation works in Rotterdam. The ticketing system is very easy with the OV-chipcard. To gather information on how long it is going to take you to travel via bus or subway from your home to your office or somewhere else we advice you to use www.9292ov.nl. This is an easy and free tool to plan your trip in Rotterdam. One thing is for sure: ‘’Rotterdam has a lot to discover’’!